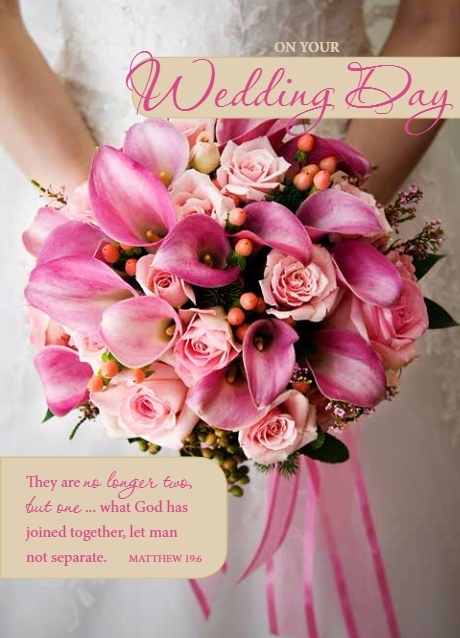 The On Your Wedding Card is both beautiful in appearance and message, featuring a powerful verse from Matthew making this card a wonderful way to congratulate the happy couple. On Your Wedding Day Single Card is published by Teal and is our 703rd best seller. The ISBN for On Your Wedding Day Single Card is ED50729A. Beautiful design , picture and encouraging words exactly as I expected. Got a question? No problem! Just click here to ask us about On Your Wedding Day Single Card. On Your Wedding Day single card. A:This card is 170 x 120mm. Thank you for using the Q&A Forum.